Assalamoun aleikoum. 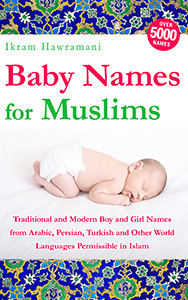 Could you please let me know what the meaning is of the following boy names are and more importantly, if they are quranic names? Kaysan, Nasim, Risay, Roshan, Tihami and Jasim. May Allah bless you for your advise and efforts. Kaysan, when used as a name, seems to be a Sindhi word meaning "wise". In Arabic Kaysaan [pronounced as (C)all + pr(AY) + (S)m(A)rt + (N)ew] means betrayal, Umm Kaysaan means the knee, and Kaysaan also means "kick to someone's backside." 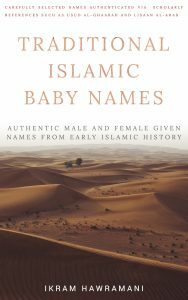 None of the meanings are good in Arabic, for this reason Arabs don't used it as a name (I searched through millions of Arab people's names and found only one Kaysan). For this reason if you like the name and by it you mean the (possibly) Sindhi meaning of "wise", then it is acceptable and you can use it. Naseem (also spelled Nasim) [pronounced as (NU)mber + (SEEM)] is an Arabic word that means soft breeze. It is not used in the Quran directly or indirectly, but since the meaning is good you can use it. Risay doesn't sound like any Arabic word I know of. It might be from another language. Roshan means brilliant, radiant, light, opposite of dark, in Farsi and Kurdish. پس از مرگ روشن شود یاد من . It is not an Arabic or Quranic word, but the meaning is acceptable so you can use it. Rawshan is an Arabic word, not Quranic, that means shelf, raised platform, balcony, niche. I haven't seen it used as a name. Tihami means "from Tihama", the eastern shore of the Red Sea, which contains the city of Mecca. For this reason the Prophet Muhammad, peace and blessings of Allah upon him, was sometimes called "the Tihami prophet", i.e. the prophet from the Tihama area. It is not a direct or indirect Quranic word, but since the meaning is acceptable you can use it. Jasim is an indirect Quranic name that means "large", "hulking", "strong" and comes from jism (body). It is also the Bedouin pronunciation of Qasim, which is an indirect Quranic name that means one who shares things between people, one who is generous, and one who has a beautiful/handsome face. Qasim was the name of the first son of the Prophet, peace and blessings of Allah upon him. You can use Jasim, and by it you can either mean "large", or you can mean Qasim. Thank you for this. May Allah increase you in knowledge.